My recent 4-night cruise to Canada from Boston on the Carnival Glory provided me with the opportunity to interview the Camp Carnival Youth Director, Heather Carrick from Canada. Heather has only been the Youth Director for a few months after her recent promotion, but she has been with Carnival for almost five years now and has been on the Carnival Glory since February. 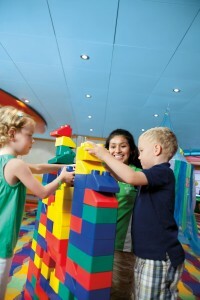 Travel Shop Girl: What is the ship’s current capacity as far as passengers, including children? Heather Carrick: The ship is at full capacity and we have around 800 kids onboard under the age of 18. TSG: I am really surprised because I thought “Canadian Cruise” and I thought people onboard would be in their 70’s. This was a nice surprise to see a nice mix of younger and older people and families. What kind of activities do you plan for the kids? Is it a static activity list or does it change every time? Heather: We’ve got our set programs for each age group because Camp Carnival is under the age of 11 so we have the 2-5 year olds, 6 through 8, and 9 through 11. So each age group has age appropriate activities for each group. So the 2-5’s, for example, they are obviously not babyish, but for the younger ones there is more arts and crafts and truck time and things like that. For the 6-8’s, they are very energetic so they want to try everything so we have a lot of very different things for them. For the 9-11’s because they are our older ones for camp, they go on scavenger hunts and we find more things for them like that. We have a party for them that goes until 3 o’clock in the morning and crazy fun stuff. We do have a set schedule that we give the parents at the start of the cruise that tells them everything that’s going on for every day that we’re open. TSG: Camp Carnival is for kids through age 11, but what about the older kids? Heather: Our teen program, Circle C, is for ages 12-14 and Club O2 is for ages 15-17. They’ve got their own clubs as well for each age group. They’ve got dance parties, sports competitions, scavenger hunts as well, and lots of stuff as well. TSG: So Camp Carnival is on Deck 12. Where is the teen program? 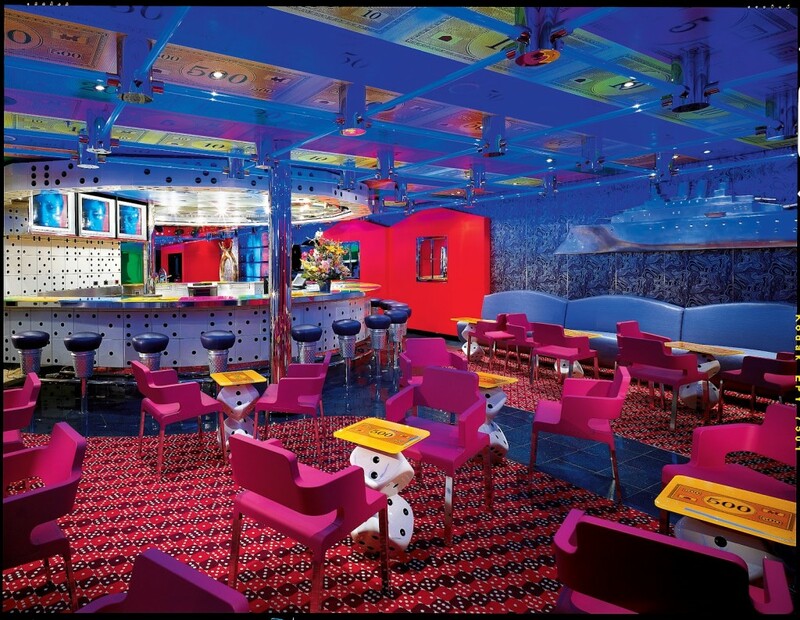 Heather: Circle C is on Deck 4, just outside the dining room and the photo gallery and Club O2 is actually on Deck 5, Promenade Deck, it’s the Ultraviolet’s Club we call it. TSG: Oh yes I did see that! I had thought about going in and I changed my mind and I’m now glad I didn’t go in. Heather: Yeah, it’s for the teens only! TSG: How long do the programs run? Heather: Camp Carnival runs from 10 am pretty much until 10 pm, which is all complimentary. After that, we have our Night Owls program, which is from 10 pm until 3 o’clock in the morning, which there is a fee for using. The teen program usually start around more toward noon because their activities go until 12:30 am or 1 am in the morning. TSG: And they’re supervised, right? Heather: Yes, they are supervised as well. TSG: For the first-time cruiser who hasn’t cruised and is a little nervous about maybe leaving their child for the first time, do you have any advice? Heather: All of the staff in the children’s programs are trained. They all have backgrounds dealing with children so I know that sometimes the parents are a little more apprehensive because they don’t necessarily know what we’ve done. But everyone is certified with CPR and First Aid and criminal background checks are done on all of the staff members as well. So that hopefully puts parents at ease and we’ve all worked with children before with at least two years of experience if not more. A lot of the staff members on this ship have been with the company 2, 3, 4, 5 and up to 8 years on this ship. TSG: What about if the child is unhappy or if something happens and they’re crying. Are you able to get a hold of the parents and call them back? Heather: For the children under the age of five, we actually have for the parents have complimentary cell phones. This can be good for those parents that are a little bit more apprehensive. We usually try to calm them down, but if we find that they are kind of inconsolable, some kids don’t want to stay sometimes and so we do get a hold of the parents by cell phone. TSG: What’s the one thing that you see happen over and over that you say to yourself, “I wish parents knew this before they came onboard” or that they were more prepared for their cruise? Heather: Yes, that is something that we try to stress especially with so many kids onboard. TSG: Is there anything else that you wanted to add about the program? Heather: I would like to think that we have lots of things for everyone, like something different. I like to think that we have different activities that everyone is going to love so if you come in the morning and there isn’t something you really like, try again in the afternoon because they’re hopefully will be something there to tickle your fancy. TSG: Thank you so much Heather for sharing your insights on Camp Carnival with me today. 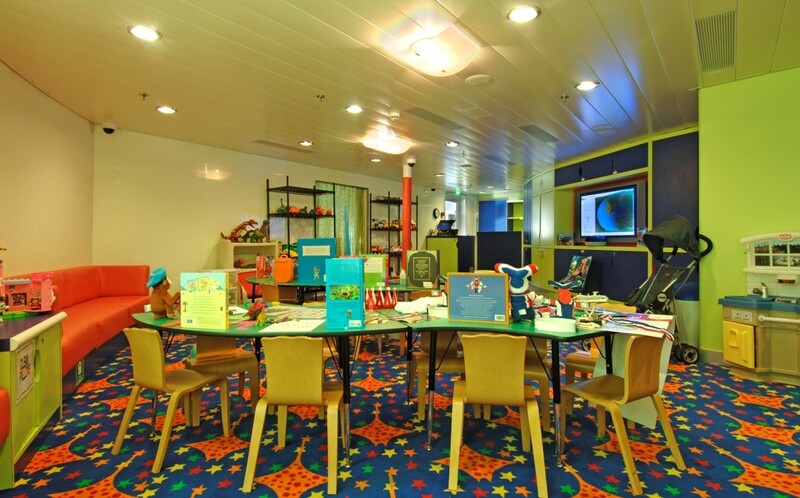 I hope parents will be ready to give Camp Carnival with their try on their next Carnival Glory or any Carnival cruise in the future. Don’t forget to read the rest of my posts on the Carnival Glory here. Great interview! I think a lot of parents don’t really know what to expect.